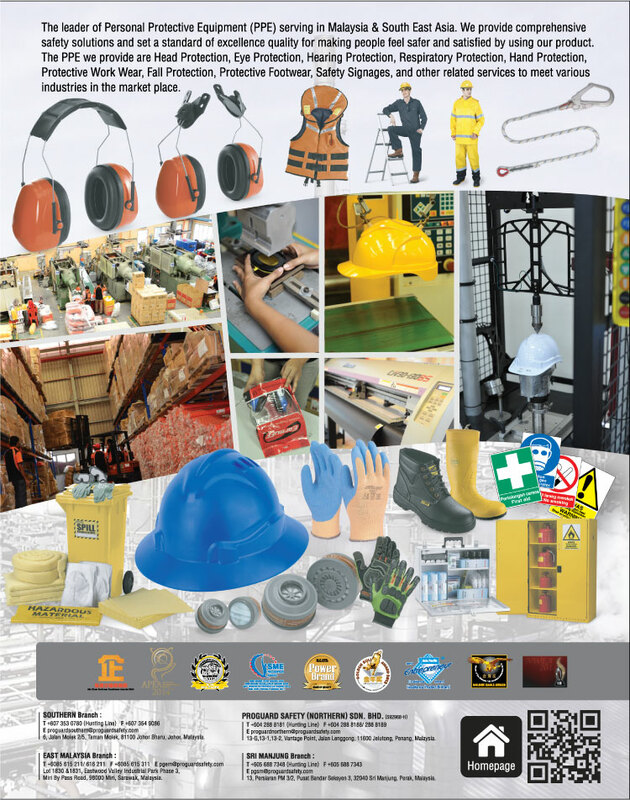 Proguard is one of the leading Personal Protective Equipment (PPE) companies in Malaysia and South East Asia. We provide a comprehensive range of product and solution catering to various industries and applications needs in the market place. With 7 branches, strategically located throughout the country, and over hundreds of dedicated distributors specialising in the supply of Personal Protection Equipment and Safety Signage’s. Our local branch network backs as national sales team, with dedicated internal and mobile field sales representatives. All of them receives continuous to handle orders efficiently and effectively, offering technical advice and quickly solve any problem occurs. We are constantly in touch with our market’s needs, demands and application from Oil & Gas industries, Food Processing, Industrial Manufacturing to contractors and our distributors. There is no company or market which is too big or too small for us, here in PROGUARD and over the years we have developed and build many successful partnerships by working hand in hand with our customer. We strive to provide comprehensive information to our customer. 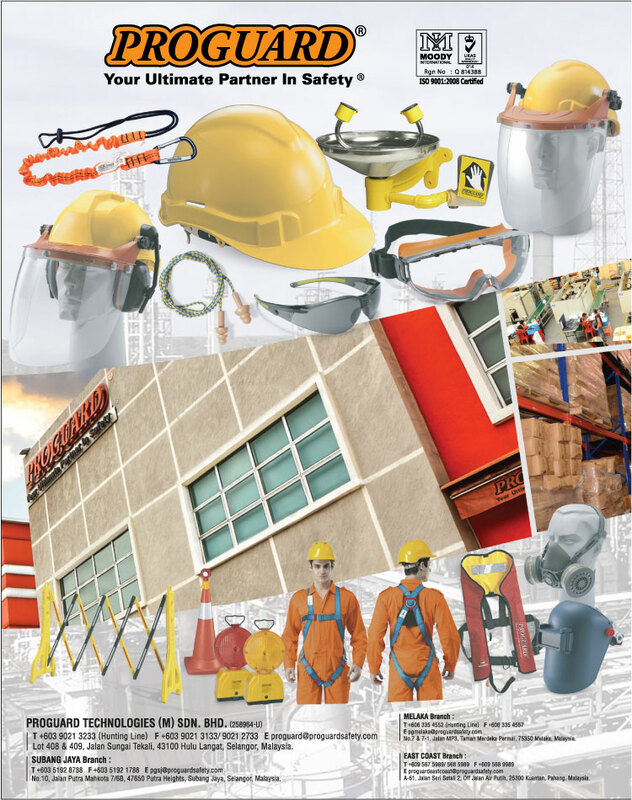 Each year our catalogue are packed with our full product range with product selection guides, certificates and standards such as SIRIM (Malaysian Standard), CE ( European Standard) and ANSI ( American Standards) requirements. We also provide product and application trainings for all categories of our product and we are able to customized according to our customer’s needs. We share this knowledge to ensure that the right products are used at the right time, ensuring our user safety each day. Our company is ISO 9001:2008 certified and we are committed to conducting our business according to professional and legal standards. Each and every employee of Proguard is responsible to communicate to our customer with professionalism, efficiency and honesty. We pride ourselves with high capacity stock inventory and a constant turnover of stock. We are constantly sourcing good quality products that are tested and approved accordance to the latest industrial standards. No order is too big or too small for us and our products are sold to minimal units as stated in our catalogues. We provide door-to-door deliveries at no cost within our coverage areas and minimal charges when applicable.